Elite 6 With cars scaling down in size for economy and versatility, it is becoming more and more apparent to holiday goers or anyone just wanting to transport items, that an alternative source of space needs to be found. 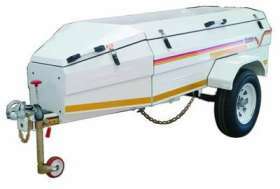 Well, it already has been, in the form of Venter Luggage trailers. What would you expect from a trailer that has been part of the South African travel landscape for so long? Well, to be such a survivor you'd probably imagine that the trailer would be high quality, have tasteful, constant design and be as versatile as you need it to be. Well, with a Venter trailer you certainly wouldn't be wrong. 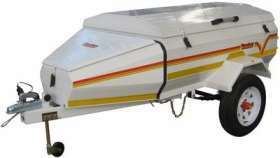 This trailer is a veritable workhorse that can be utilized for multiple purposes. 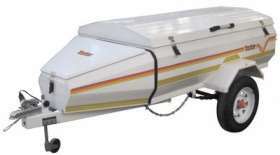 The unique design and robustness and its high standards of quality and reliability have been developed and perfected over a period of many years. And boy, does it show. 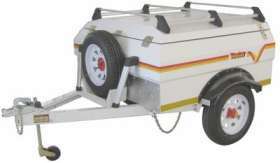 Constructed from quality corrosion resistant, electro and zinc galvanized sheet steel, the rigid body is both safe and well balanced, maintaining perfect alignment behind the towing vehicle. What's more, only top class, proven materials and parts are used. And with dealerships nationwide, quality service and authentic spares are guaranteed. It's this kind of reliability and quality that has ensured very high resale values. I am interested in the "Venter Elite 6 Trailer".